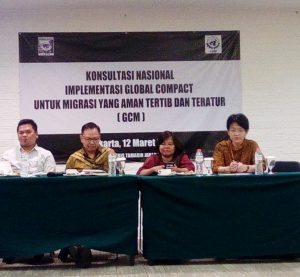 Since early 2000, the Migrant Forum in Asia (MFA) has been engaging the United Nations (UN) bodies on migration and development issues as well as other regional and international organizations that continuously monitor the discourse on migration. MFA’s engagement with the GFMD dates back to our involvement in the 2006 UN High Level Dialogue (UN HLD). MFA was part of the global steering committee that coordinated the civil society componentof the UN HLD where we co-organized a parallel event together with the Migrants Rights International (MRI), the Global Community Dialogue on Migration, Development and Human Rights, which had 80 participants representing 45 organizations from Asia, North America, Latin America, Europe, Africa and the Pacific. In the process of our engagement in these multilateral meetings, particularly on the GFMD, we saw the need to continuously monitor the process as GFMD has now be become a permanent intergovernmental forum. It has become one of the principal international spaces in which governments discuss migration and development policies. This report aims to present the various strategies MFA adopted at the national, regional and international levels in relation to the 2nd Global Forum on Migration and Development. It provides a background to the first two GFMDs, MFA’s activities leading up to the Peoples’ Global Action as well as a critique of the GFMD and recommendations for future CSO engagement at the 2009 GFMD in Athens, Greece. 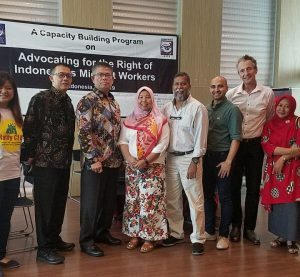 Through the report, we hope to share our experience in establishing a space for assertion of a rightsbased civil society discourse, our good practices, and our lessons learned for future engagement with the GFMD.